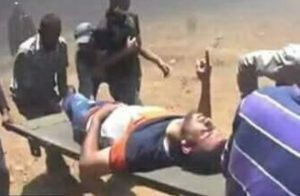 The Palestinian Health Ministry in Gaza has reported, Wednesday, that a young Palestinian man who was shot and seriously injured by Israeli army fire on May 14th, 2018, has died from his wounds. 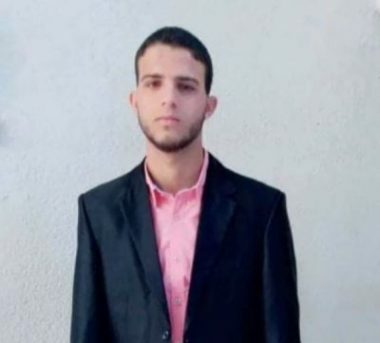 Dr. Ashraf al-Qedra, the spokesperson of the Health Ministry in Gaza, said the Palestinian, identified as Mohammad Ghassan Abu Doqqa, 22, suffered a very serious wound after Israeli soldiers shot him with live fire, east of Khuza’a town, east of Khan Younis, in the southern part of the Gaza Strip. He added that Abu Doqqa was rushed to a hospital in Khan Younis but was later moved to a hospital in occupied Jerusalem, due to the seriousness of his condition. On the same day that Zakariya died of his wounds, Israeli soldiers killed Sabri Ahmad Abu Khader, 24, after shooting him with live fire near the Great Return Camp, east of Gaza city. Their deaths bring the number of Palestinians who were killed by Israeli army fire since March 30th, 2018 to 128, including two journalists and thirteen children. More than 13,700 others were injured, including hundreds who suffered serious wounds, mainly after being shot with expanding bullets. On Tuesday June 19, a cancer patient identified as Masoud Abdul Hai Abu Saqer, aged 49, died at Erez/Beit Hanoun crossing between Gaza and Israel, while awaiting to be interviewed by Israeli security officers, to discuss his permit application to receive treatment at an East Jerusalem hospital.